L&T MHPS Turbine Generators Pvt Ltd (“LMTG”) is a joint venture company of Larsen & Toubro Limited (“L&T”) & Mitsubishi Hitachi Power System Ltd (“MHPS”) Japan. Joint Venture Agreement for setting up a manufacturing facility to supply super-critical Steam Turbine & Generator facility in India is formed in 2007. Manufacturing of Turbine & generator is a promising product of L&T’s offering which is currently facing a challenge by competitors. In the present scenario, power industry has transformed from sellers to buyer’s market with stringent timeline to deliver. As OEM for power generating equipment & to be a market leader in the field, it is very essential to make availability of high performing products at competitive cost. To meet the delivery schedules & to cut down the cost, it is required to enhance the productivity. In this context, we at LMTG have implemented systematic plan to improve the productivity in blade manufacturing area. This paper is an attempt to capture this journey by compiling our creative ideas to improve the manufacturing of Turbine Blades to the double the capacity. As power industry has transformed to buyer’s market, we need to improve the product in terms of quality, cost, delivery & performance. To meet the requirements of changing market conditions, LMTG introduced the most effective equipment in power generating “Ultra Super Critical Turbine”. These turbines operates at very high temperature of of 620°C & steam pressure 670 Kg/cm². The Blade is most critical part of Turbine. The accuracy in the manufacturing of Blade gives direct impact on operating efficiency of power plant. Aerofoil or profile part of the blade plays vital role in smooth flow of steam. To achieve the required accuracy, turbine blades are manufactured on most accurate 5-Axis machines. 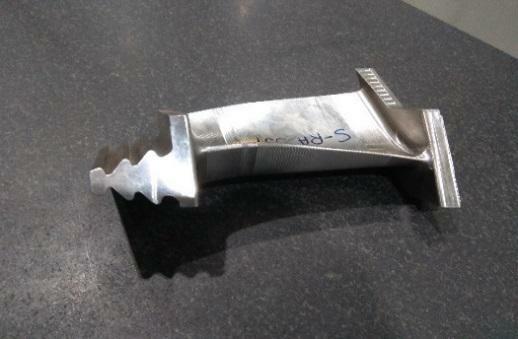 Including our technology provider & most of competitors are manufacturing blades on 5-axis machines. LMTG Plant was designed for 5 Sets of Turbines & Generators per annum which requires around 37,000 of Blades for 63 Stages. Switching over to new design of ultra-super critical Turbine design, the numbers of blades for 5 sets are increased to 58,000 for 100 stages i.e. around 5000 blades/month. To meet the new requirements, it called for additional investment of approx. 20-25 Cr. for machinery & accessories. The revised requirement of blades, prompted us to take a project that delivers 60,000 blades/annum with same set of manufacturing facility. Considering the increased blades requirement, we have taken the project of producing 60,000 blades per annum, we approached towards the implementation of the project based on below flow diagram. ⦁ Overloading of 5 axis machines by 104%, i.e. the capacity to be doubled on 5 axis machines. The analysis done, indicates effective utilization of 3 axis machines can be increased by shifting some of non-critical operations from 5 axis machines to 3 axis machines. Based on the analysis we have got some of actionable areas as below. The following is the flow chart of the sequence of operations carried out on the raw material to get the final product. The Profile machining can only be done on a 5-Axis machine, hence all the other parts were machined in the 4-Axis before getting the blade to the 5-Axis Machines. This was merely to shift the machining over higher capacity machines & to remove the bottlenecks. 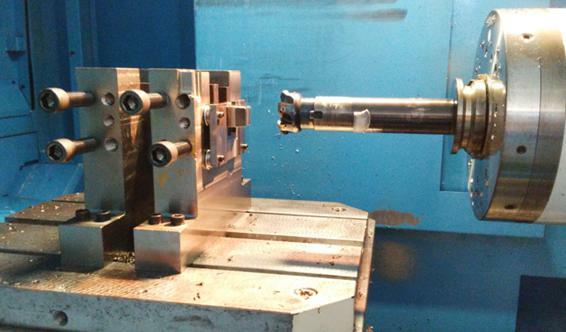 The end Machining operation basically means removal of the holding allowances. These holding allowances depends on the machine it is to be clamped into. This operation is a non-value adding activity, and hence occupying a critical & bottleneck machine for it was not advisable. With a customised fixture, different tooling parameters and machining strategies, we shifted this operation on less critical machine i.e. the 3-Axis Machine. Tooling becomes a major concern when we talk about machining. It directly affects our quality and productivity. Machining parameters, required accuracies and the surface finish are a few factors we consider while deciding the tools for any job. To introduce latest innovations in tooling’s, we interact with tool manufacturers on a regular basis. In our case, we tried to work on the form cutters which were used to machine a Fir tree Root type Blades. 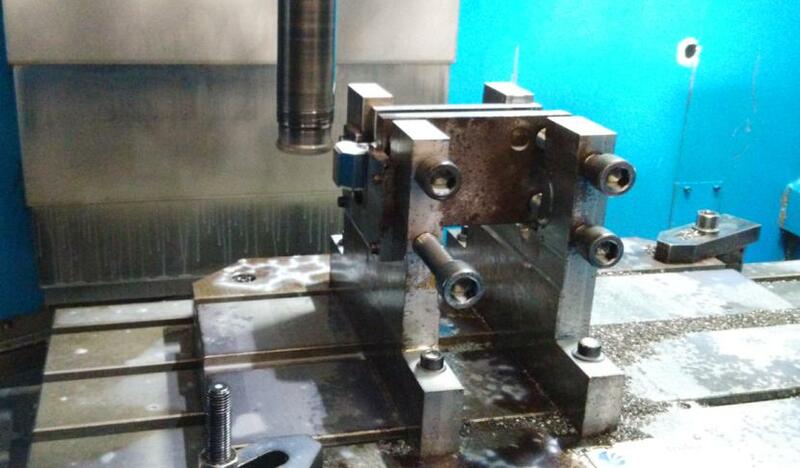 The HSS Form cutters after replacing with the brazed type form cutters, gave us the opportunity to increase the parameters and get a reduced cycle time on 4-axis machines. 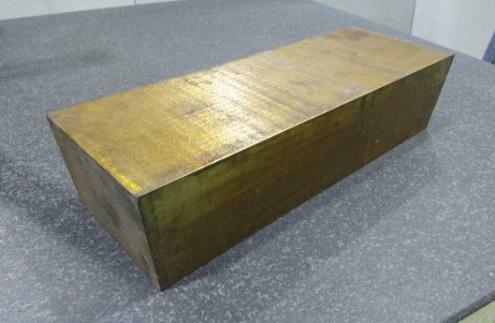 In addition to this, the application of a few advanced tooling like the High Feed Cutters and better coatings allowed us to utilise higher parameters which in turns reduced the cycle time further. Steam turbine operates at very high temperature & pressure, the material of blades should withstand these operating conditions. Special alloy steel is used for blade manufacturing. Generally forged bar is used as raw material for blade. The amount of wastage is as high as 75-80% of total raw material used. 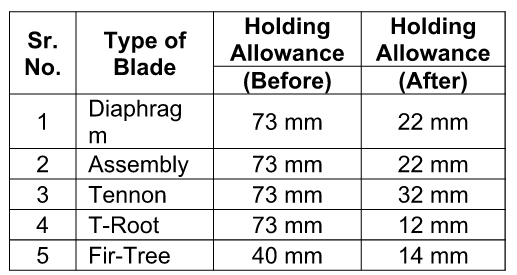 The raw material in the manufacturing of a blade is generally an addition of the Blade dimensions and the holding and machining allowances over the same. Both of which are non-value adding to the final product. Thus the lesser the allowances, the more efficient the process is in terms of cycle time. Following picture shows the raw material & finish product. Average 12 to 15% of raw material is converted in finish goods. Hence it is very important to reduce the technological holding allowance. As stated above, technological holding allowance has been reduced by change in process, holding methods& other improvements. Figure 12 shows the comparison of holding allowance before & after improvements. In addition to Cycle time, the reduction in holding and machining allowances provided major savings in raw material cost & energy consumption. The spare quantities are the numbers of units produced over the actual requirements cater to the process deviations. The quantity to manufacture was pre-decided to be 10% more than the required batch size over the actual quantities, which gradually was reduced to 2%. This happened because of the importance given to kaizen initiatives in the organisation and deeply workman involvement in it through various QC tools to achieve the right quality at the first go. All the above developments have eventually added value to the productivity as a whole, which in turn has doubled the blade produced by minimal increase in energy usage. Considering the availability of 3 & 4-axis machines, we planned to shift some of non-critical machining operations on these machines which were being performed on 5-axis machines. By adding rotary axis to 3-axis machines, we have converted it to 4-axis machines, which are now able to perform the rough machining of blade. Similarly we have added 5th axis to 4-axis machine to convert it to 5-axis machine. These modification in machine allowed us to take blades on 3 axis machine for rough machining & finishing on 4 axis machines. Following figures shows the modification of machine by adding additional axis. After the implementation of the improvements stated above and other Kaizen initiatives, we plotted the following graph. 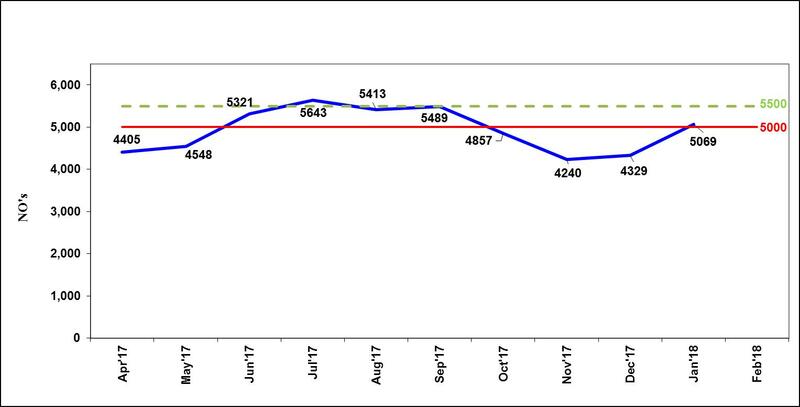 The YOY Average has increased from 2253 nos of blades per month to 5066 nos of blades per month over a span of three years. The life cycle of the product consists of three phases: manufacturing, service and recycling. The manufacturing phase alone accounts for one-fourth of global energy usage. The leading consumer of energy within this sector is the production machinery. There are numerous motivation causes to reduce this energy consumption. The leading cause for the operating company is the reduction of the Total Cost of Ownership (TCO) but the higher goal is the sustainable manufacturing of goods with minimal energy required with a smaller environmental footprint. By reducing the overall cycle time of Blade manufacturing on machine, here we reduced the energy consumption. We able to reduce the energy uses from 86KWh to 36KWh per blade we manufactured. Thus reduction in carbon foot prints to the society. Secondly, when we reduce the raw material requirement, we are reducing the natural resources for steel manufacturing & also the consumables requirement per no of blade. Any system or improvement stands right only when it gives a sustainable scope. 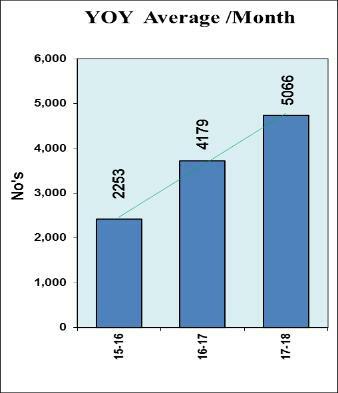 The trend of the current Financial Year, after all our Improvements and Implementations have shown a drastic improvement in quantity of blade manufacturing from the previous Financial Years. The new process adopted is giving better output with improved norms in quality of blade produced. In continuation with the sustainability shown in Figure 16, we constantly put more efforts on continual improvement of the whole process to further improve the productivity in Blade manufacturing and is directly proportionate to the manufacturing cost. Apart from the above, we are working on various process optimisations & horizontal deployment by implementation of automation for further reduction in cost per component.